#BestSoMeBrands Finale is here. The winners will be declared. There will be celebrations. The countdown has begun. From being non existent, to being an ‘also’, to almost exclusively being the priority, the rise of social media is one of the most absolutely unprecedented events in the history of communicating with consumers. Having scripted a love affair with brands, social media has become the voice, the face and the manifesto of our favourite brands, the ones that deserve to be named the #BestSoMeBrands. These brands have maintained a deep relationship with their consumers, carved loyalty and chalked out brand recall through the power of social media, and it is our honor to bestow the title of #BestSoMeBrands on them. A title that is the culmination of hard work, strategies, innovation, goodwill, and flawless execution. Evaluating the social media performance of brands from numerous categories, judged by an elite panel of social media evangelists, CMOs, and advertising honchos who picked the best social media brands to have set a benchmark in the industry with their campaigns, etching their memory into the minds of one and all. Adding to it was the exciting online voting bit, giving you my dear friend, the power to select your favourite brand across each category. That’s right, Best Social Media Brand’s evaluation process was designed to eliminate any human bias whatsoever. 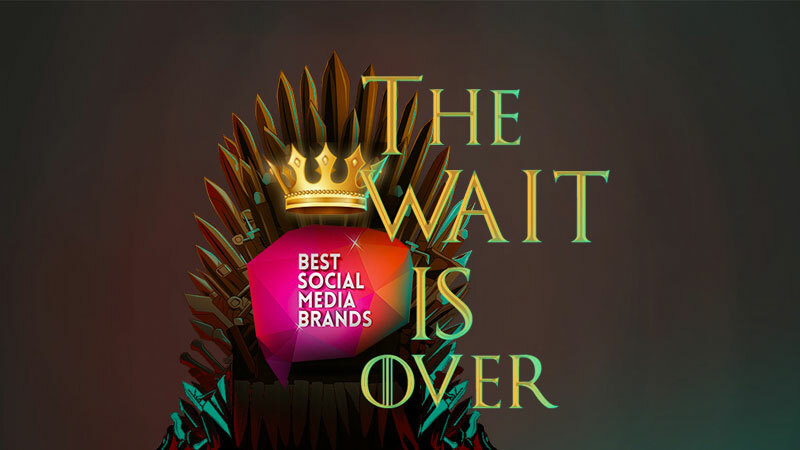 After an intense battle across Automobile, Cement, B2B, Beauty, BFSI, eCommerce, Education, FMCG, Food & Beverage, Healthcare, Media, Real Estate, Retail, Tourism & Hospitality, Technology, and Telecom, Social Samosa is all set to declare the coronation of #BestSocialMediaBrands on the Wednesday, 26th of April, 2017. Keep your fingers crossed, and the confetti ready. The Throne is vacant, and if you believe your brand’s performance is extraordinary, and deserves to be adjudged as the #BestSoMeBrands, watch out for the results. The countdown begins.